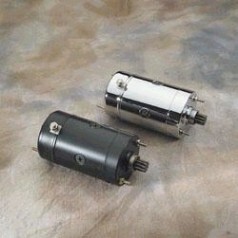 Fits 74-88 Big Twin and 74-E76 XLH models equipped with Hitachi starters. Select from option menu below. Black replaces OEM # - 31570-73. Chrome replaces OEM # - 31559-89T.